Ilich is the author of the novels Metropop and Tekno Guerilla. He was editor of the magazine Sputnik Cultura Digital, creator and screenwriter of Discovery Channel’s Interacción and a researcher for the Multimedia Center in Mexico City’s National Art Center. Currently he is CEO of Diego de la Vega LLC. 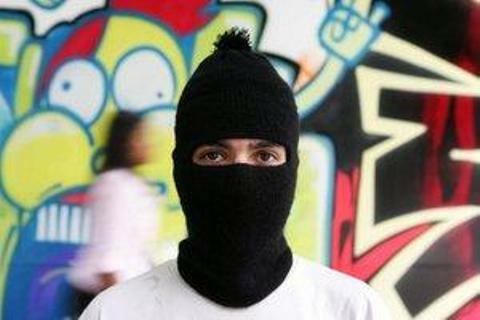 He has participated in festivals such as Transmediale, Berlinale Talent Campus, Documenta 12, Copenhagen International Documentary Film Festival and the EZLN’s World Festival of Dignified Rage (by invitation of Subcomandante Insurgente Marcos). He has directed seminars on narrative media for the National University in Andalucí­a, Spain, the Finske Art Academy in Denmark and Arteleku in the Basque Country. He is currently the Director of Literature in the Tijuana Cultural Center. He was the Municipal Treasurer of Tijuana on June 9, 1987. Jennifer Flores Sternad interviews Fran Ilich in 2009 about his interest in Zapatista culture and imagining, his critique of the Mexican cultural system and his current project called "Spacebank."